This is my latest go to side dish. 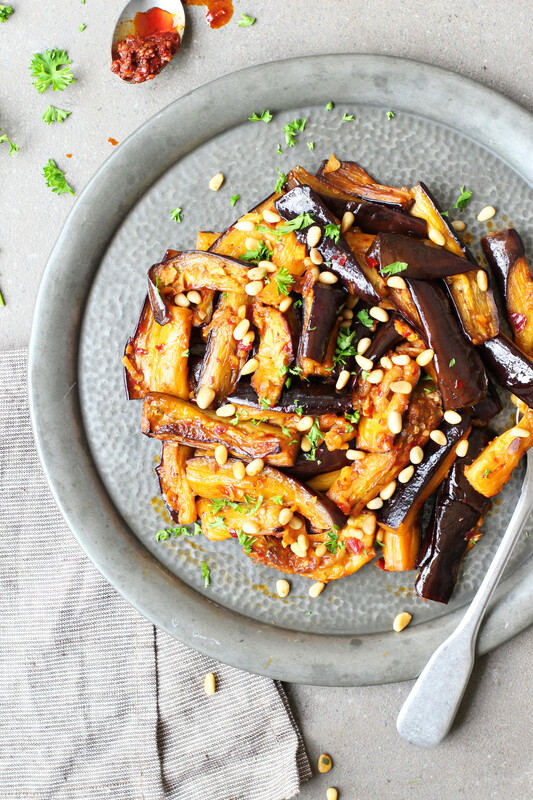 I adore aubergines and this is such an easy way to make a big impact. The level of spice will depend on the harissa you use so make sure to taste it before. I’m a sucker for toasted pine nuts and a little parsley gives a lovely splash of colour. This is a great one for lunch boxes, it’s so delicious the next day. Preheat the oven to 200’C. Cut the aubergine into rectangular wedges. Add them to a roasting tray and drizzle on 2 tablespoons of olive oil. Toss them well, season with salt and pepper and roast for 20 minutes until tender. Add the remaining olive oil to a large pan on medium-high heat. Mince the garlic and add it to the pan with the harissa and grated ginger. Toss well and cook for about 2 minutes until the garlic has softened. Add the roasted aubergines and toss well. Whisk together the honey and lemon juice and then pour it into the pan. Turn the heat down to medium and leave to cook for 5-10 minutes, stirring regularly until the liquid has evaporated and the aubergines have softened even more. While that’s cooking, toast the pine nuts in a pan until golden. 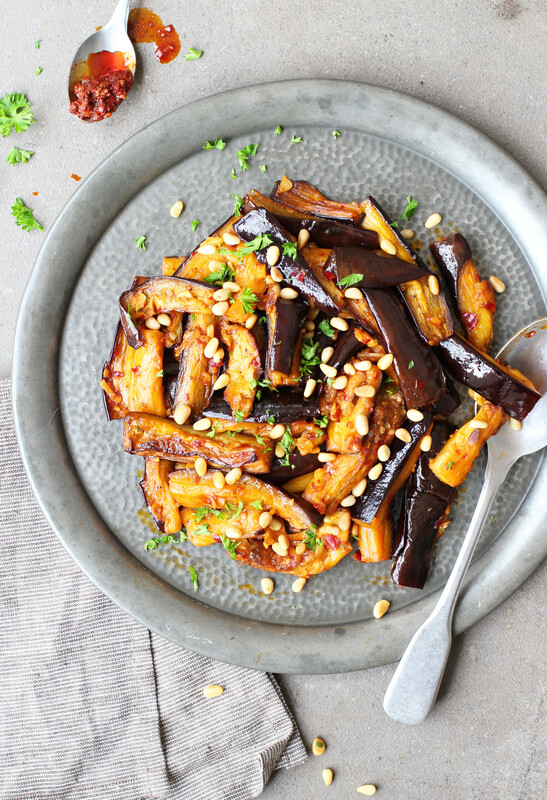 Serve the aubergine with the pine nuts sprinkled on top.